Union minister Nitin Gadkari today announced World Bank-supported Rs 6,000 crore scheme to improve the irrigation facilities and water accessibility capacity in several states. NAGPUR: Union minister Nitin Gadkari today announced World Bank-supported Rs 6,000 crore scheme to improve the irrigation facilities and water accessibility capacity in several states, including Maharashtra, Karnataka, Telangana, Andhra Pradesh and Gujarat. Gadkari announced this at the inauguration of Agrovision Exhibition here today. Vice President Venkaiah Naidu, who was present on the occasion, performed e-jalpoojan of Nerala Lift Irrigation Scheme and right bank canal of Gosikhurdh Irrigation project. "A proposal Rs 6,000 crore project has been sent to the World Bank from my ministry and this scheme will start very soon in these states," the minister for Road Transport & Highways, Shipping and Water Resources said. The other states which will benefit from the scheme are Madhya Pradesh, Jharkhand, Odisha, Chhattisgarh and Rajasthan. The Gosikhurdh project in Vidarbha, which was started 35 years back, is still incomplete, he said adding, "However, we have decided that we will complete that project by 2019." Gadkari also announced Rs 25,000 crore-worth Daman Ganga-Pinjar river connectivity project, which is 90 per cent funded by the Centre. "This scheme will improve the water capacity in Jayakwadi in Marathwada to 100 per cent. Similarly, all the dams in Ahmadnagar and Nashik will be filled 100 per cent," he said. "Besides, the water that flows into the sea will be diverted to Godavari, which fill up all the dams of Marathwada and Northern Maharashtra, so that the water woes end there," he said. 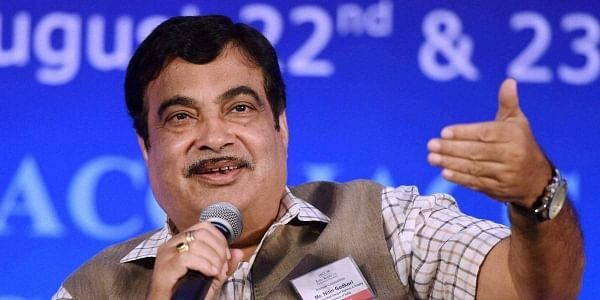 This project will change the picture of Maharashtra and its first phase will be inaugurated by Prime Minister Narendra Modi within the next three months, Gadkari informed. The minister also said that by 2019, the irrigation potential of Maharashtra will be raised from 22 per cent to 40 per cent. Speaking on the occasion, Maharashtra Chief Minister Devendra Fadnavis said, "The government will focuss on organic and group farming. We are trying to bring in the farmers into the institutional credit by the way of loan waiver and the loan waiver amount will be credited into the their accounts by November 25."